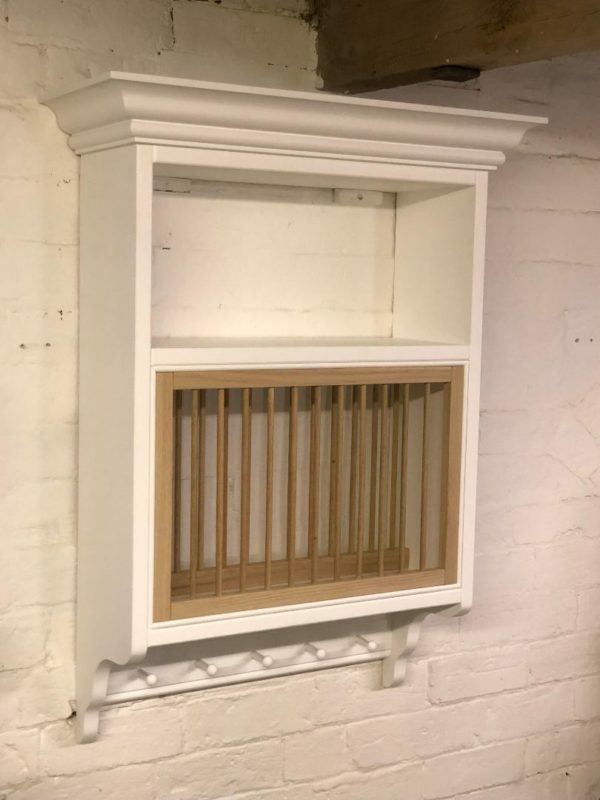 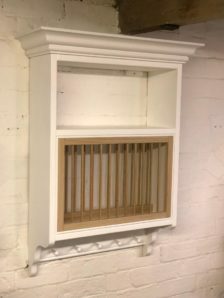 The Paxford plate rack is a stylish traditional show piece for your kitchen. 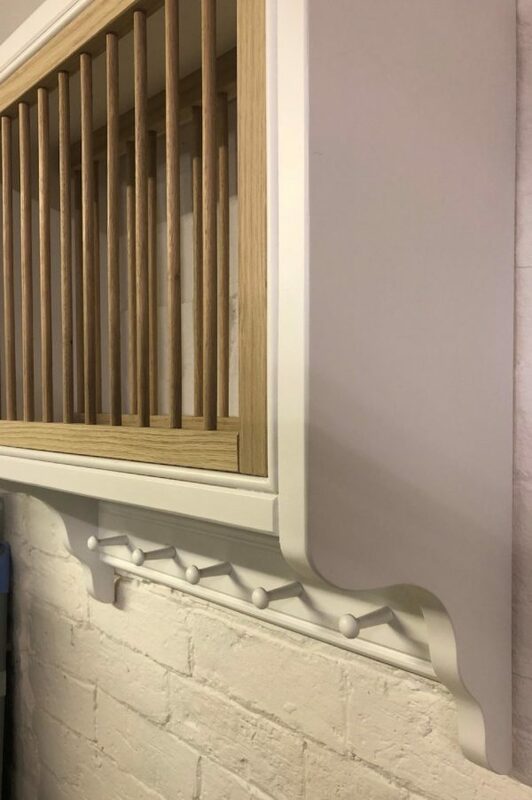 Details such as the curved beading to set off the plate section and the Lambs tongue profile cornice make this an eye catching statement for your Kitchen. 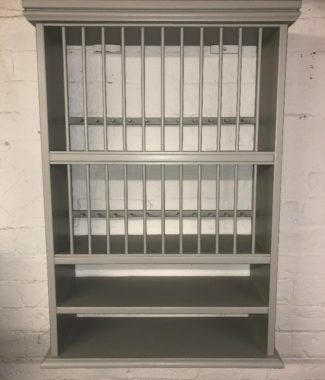 There is space for 12 plates up to 30cm to be stored under a 25cm high shelving area. 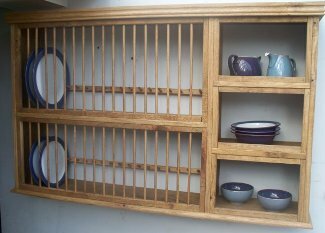 The bottom of the rack is finished with a graceful curve that houses a rack with space for 5 mugs or cups. 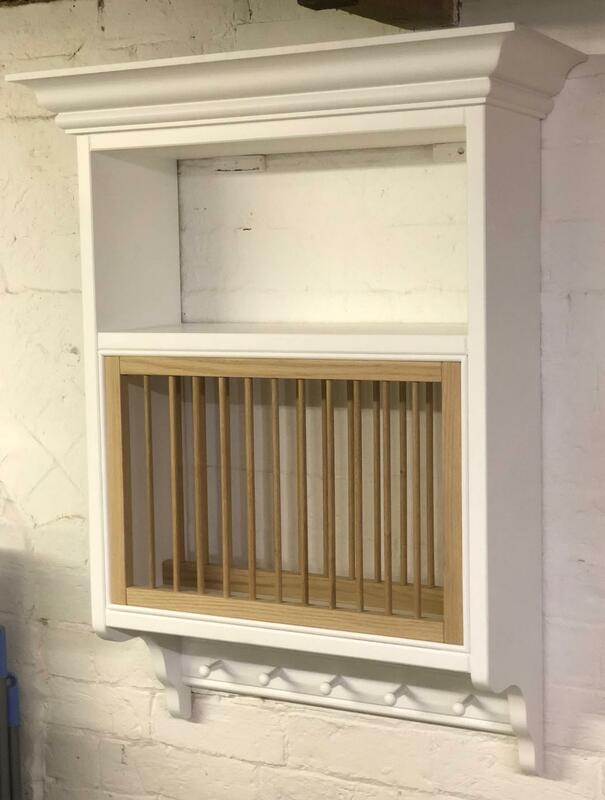 The paxford rack is constructed from solid 25mm knotless pine and finished in any Farrow & Ball colour. 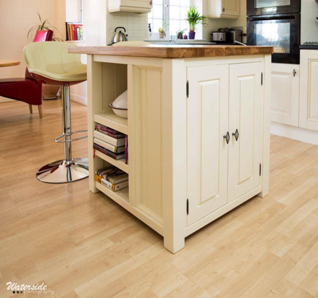 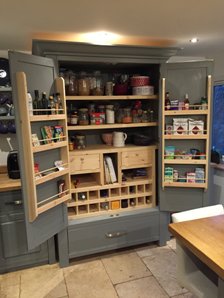 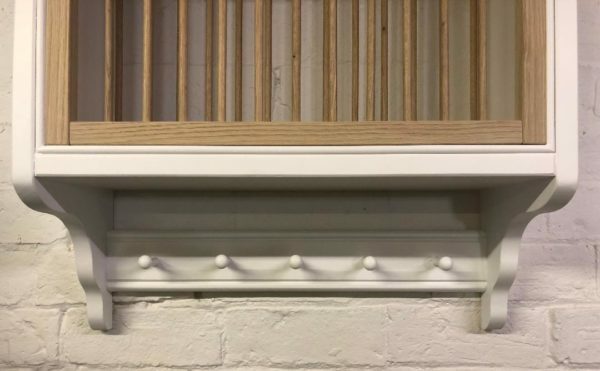 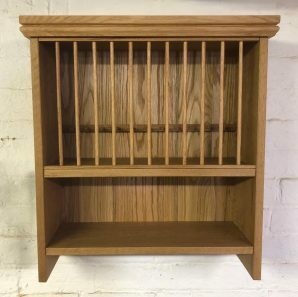 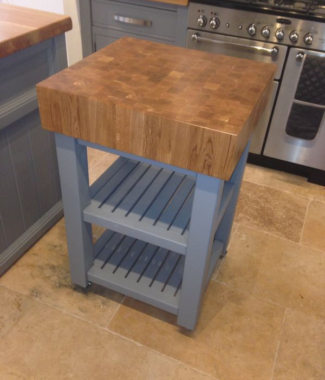 The dowel section is shown here in oak but can also be painted the same colour as the rack.